Original soundtrack commissioned by the National Theatre of Northern Greece for the theatre production of “Macbeth”. The play was directed by Anastasia Revi and performed at the Theatre of the Society for Macedonian Studies in Thessaloniki, Greece, during the period from 15/01/2016 to 27/03/2016. The physical release includes two additional short pieces as bonus tracks and features original artwork by Spyridon created especially for this release. 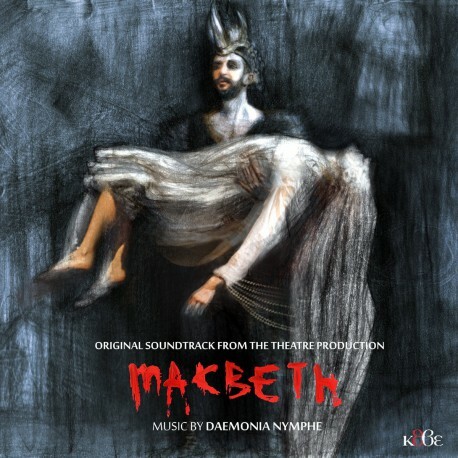 Daemonia Nymphe perform and compose music with reproductions of ancient Greek instruments.They appear on several compilations by European and International labels alongside tracks by artists such as Lisa Gerrard and Loreena McKennitt. They are performing in Europe since 2004. They have composed and performed music for a multitude of theatre productions(UK). The project consists of Spyros and Evi.